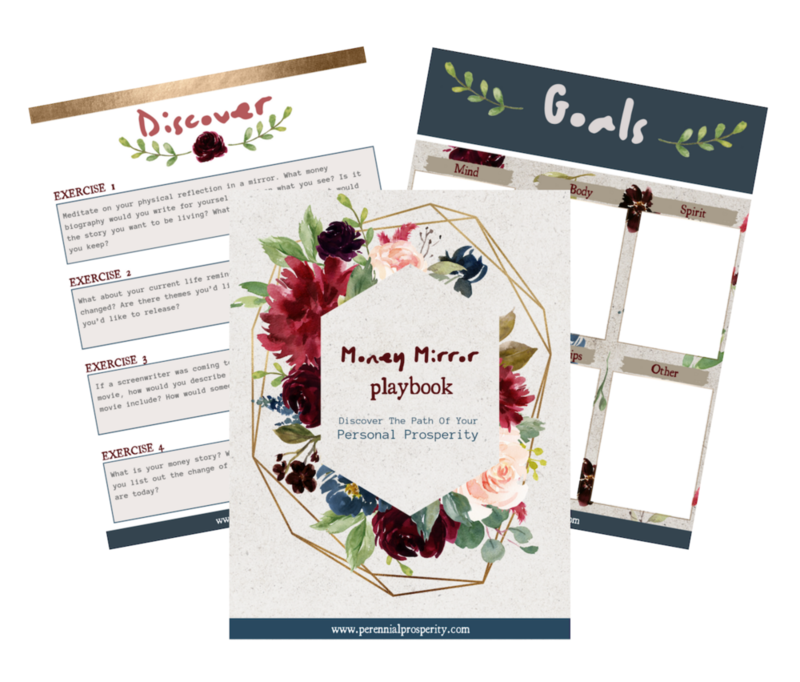 Download The Money Mirror Playbook! Discover the path of your own personal prosperity! Use your thoughts, feelings, and stories about money to solve the puzzle of your own unique Money Game using the Discover phase of the Play-Money Process™. As a Financial Coach/Other (emphasis on the “other”), I’m here to bring a holistically spiritual strategy to your money game. After spending over a decade in banking and financial coaching, I discovered that my most successful clients’ results were rooted more in their metaphysical beliefs than in any logical money management strategies. Now, it’s my mission to help you process your unique money path so that you can fund your aspirations and impact a better world. Hire Michelle for an inspiring and constructive conversation to map out what action your money clues are guiding you to take. If you’re feeling stuck in your financial life or anxious about your economic impact on the world, you’ll finish this call with major clarity to play the Money Game. The Play Money Process™ is a self-study program modeled after Michelle’s signature coaching framework. This is a deep-dive into the 4Ds of manifesting abundance and prosperity for yourself and the world around you. Early enrollment ends April 1st, 2019. Hire Michelle to radically guide and support you one-on-one through your own unique Money Game journey with her signature Play-Money Process™ framework. This work will revolutionize the entire way you manage your mortal experience with money and how you impact the world around you.